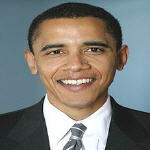 Just under three weeks from now, Barack Obama takes office as the 44th president of the United States. When he does, he'll face enormous problems and challenges. 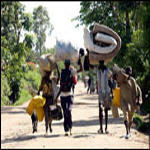 But will those challenges deflect much attention from sub-Saharan Africa? 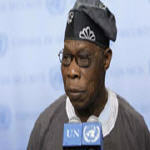 United Nations Secretary-General Ban Ki-moon today strongly condemned the “appalling atrocities” reportedly committed by the Ugandan rebel Lord's Resistance Army (LRA) in the Democratic Republic of the Congo (DRC) and southern Sudan, and demanded that they respect all rules of international humanitarian law. 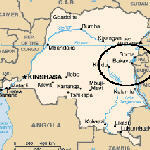 According to the reports, the rebels, fleeing a joint military operation by the DRC, Uganda and Southern Sudan to flush them out of a remote national park in north-eastern DRC, committed grave violations of human rights against civilians in Faradje, 120 kilometres east of Dungu, killing the villagers, plundering and destroying houses. 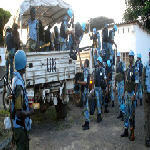 The United Nations is investigation allegations of sexual exploitation and abuse by its peacekeepers stationed in the war-ravaged North Kivu province of the Democratic Republic of the Congo (DRC). The presence of FDLR soldiers - Rwandan Hutus who fled into Congo after the genocide and now control part of the illegal mineral trade in the east - is a pretext for Rwanda to attack the Kivus. 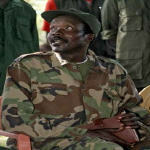 The FDLR are also used by Laurent Nkunda as a justification for his "protection" of the Tutsi minority. As if defending a minority is an acceptable excuse for massacring other Congolese ethnic groups. 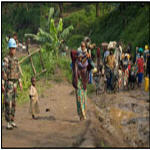 The Security Council today told United Nations peacekeepers in strife-torn eastern Democratic Republic of the Congo (DRC) to prioritize the protection of civilians, including humanitarian personnel, as the number of attacks on aid workers, some of them deadly, passed 100 since the start of 2008. 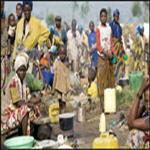 The United Nations refugee agency has called on mainly Tutsi rebels in eastern Democratic Republic of the Congo (DRC) to ensure the rights of 10,000 internally displaced persons (IDPs) amid reports that they are being pressured to go back to their villages. The United Nations refugee agency on Friday called on rebels in the eastern Democratic Republic of the Congo to stop forcing the displaced people back to their villages. 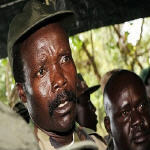 The Ugandan military said on Thursday that it is deploying more troops in northeastern Democratic Republic of Congo (DR Congo) to beef up an ongoing offensive against the rebel Lord's Resistance Army (LRA). 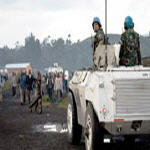 United Nations-backed talks between the Government of the Democratic Republic of the Congo (DRC) and a main rebel group, aimed at finding a peaceful resolution to the strife-ridden country’s brutal armed conflict, resumed today after a week-long break.